Dru’s Misadventures was born in August 2008 as an idea from one of the companies that I work for. The company was looking for English teachers to start writing a blog in order for their students to have free study material. The blog itself wasn’t limited to English lessons only. I was free to create my own blog that would be about anything that I wanted. I started off writing a little about myself and then about my travels. I had a few posts written about studying English as well as a few of my own personal events, but it quickly dawned on me that I would not be well suited to talking about my own personal events, nor about English. I was still relatively new at teaching English and I wasn’t as well versed in the typical mistakes Japanese students made. While those posts have never shown up on Dru’s Misadventures, it is still with me and awaiting that stroke of inspiration to get started again. The one thing I did know in 2008 was that I gained a new love of travelling and I loved to write about it. Writing about my travels in the world is an enjoyable experience. When I started to write about my travels in Dru’s Misadventures, I felt it had several benefits. One was that I could record my thoughts about each and every place I have visited. While the blog posts are not always about my own thoughts and experiences, but rather about how to go to the places and what was there. I quickly found that writing about these places helped me remember them more vividly. It gave me a better understanding of what each place meant to the world and me. I found myself remembering my travels a lot better as well. The blog also got me into photography. I always enjoyed taking photos, but with this blog, I focused a little more on taking “good” photos. While I am just an amateur, I do feel that I have grown in my ability to take better photos and you can probably see it in the photos I have selected for this blog over time. Another reason I continue to blog is that it helps me improve my writing skills, grammar skills, as well as my ability to learn more about the places I will visit and help others with what I already know and continue to learn. It is one of the reasons I started HinoMaple as well; it is an extension of Dru’s Misadventures. I am continuing to write Dru’s Misadventures and I will do my utmost best to keep this blog going for as long as possible. It is a labour of love and hate for me as it takes a lot of time to produce one post. To give you an idea, one post takes an average 1 hour to write and proofread. This isn’t Twitter or Facebook, so I have to make sure the posts are written to the best of my own abilities. It then takes a further 1 hour to look for photos that match the post and do the formatting required to make it look nice. This is if things go smoothly as they often don’t. I never actually timed myself to see how long it takes to complete one post but I would guess that 2-3 hours is a good ballpark figure. Some of the series are a lot harder to do as it does require a lot more research. If you add the time it takes to research some of the posts, I can easily add an extra 5 hours to writing each one. As most of you should know by now, my posts are almost always posted at midnight on Tuesdays, Japan Standard Time. I have flirted with the idea of writing two posts a week, but to be honest, I just don’t have the time to do so. I will endeavor to continue writing posts and having them posted every week on schedule and I hope you continue to enjoy each and every one of these posts. In the last couple of years, I have also started microblogging with Twitter and Facebook. Please follow me on Twitter (@dru46) and like my Facebook Page “https://www.facebook.com/pages/HinoMaple/399965814178”. Twitter is one of the best ways to keep on top of new blog posts here. The HinoMaple Facebook Page is currently a way to inform people about Japan. I have been posting links talking about interesting things to do in Japan, but I focus more on events happening in and around Tokyo. I am also posting extra pictures to accompany the blog posts here. I haven’t set a schedule for publishing extra photos, but I’ll do my best to keep doing it. The Facebook Page is a supplementary page to get more information and extras as well. Feel free to drop me a line either here or on the Facebook Page. If you want more pictures of something, just shout on that post or at the Facebook Page and I’ll do my best to put them up ASAP. My name is Dru and I have been blogging since 2008. I was born and raised in Vancouver, Canada. I technically grew up in the suburbs of Vancouver and had a very good life so far. I am one of the first people to say that I have led a very good life when I was born. Vancouver is a very beautiful city with a lot of nature everywhere you turn. I love Vancouver and the laid back lifestyle that is ever present. I still miss being in Vancouver and its lifestyle. I miss going out with friends, grabbing a burger, and walking around in one of the dozens of parks. I miss the ability to go to the local supermarket and buying some cookies but Vancouver is no longer my home. My home is now Tokyo and it has been my home since September 2005. In September 2005, I made a big commitment to move to Tokyo. I had originally planned to live in Tokyo for only 1 year before returning to Vancouver. 1 year was extended by another year, and then another. After 3 years in Tokyo, I stopped saying I would be in Tokyo for just another year and I said I would be in Tokyo indefinitely. I still don’t know when I’d return to Vancouver, if ever. I do know that I’d love to retire in Vancouver, but that is a long ways off for me. In my first 6 months in Tokyo, I spent almost every day just walking around each of the main areas on my own and learning about the city. In those 6 months, I had been to more places than many Japanese people who actually live in Japan. After 6 months, I began to work as an English teacher. I have been working as an English teacher ever since and my hobbies have changed over the years. 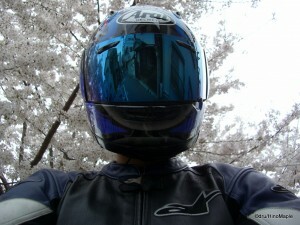 When I came to Japan, I was avid motorcycle rider. It was my life and after a year in Japan, I finally bought my own motorcycle. It was a love/hate affair with it too as the bike would have problems from time to time. It was also partly my fault and having not had enough time to acclimatise to the roads in Japan, I had a tough time. I did adapt quickly and by the time I sold my bike, I was a happy rider. While I still love motorcycles, it isn’t my main hobby anymore. My main hobby has changed to become travelling and photography. I love to travel, as can be seen on this blog, and I also love to take photos. I have grown over the years and I hope my ability to take good photos has improved. I had some flirting moments in the recent past with cooking and Geocaching. I love to eat and will try almost anything. I enjoy cooking but these days, I just don’t have much time to cook. Geocaching was a hobby I enjoyed doing for almost 1 year before I ran out of time. My priorities have changed, mainly due to my dog Sox. In December, 2010, I got my first dog in Japan. I have had 2 other dogs in Vancouver but this is the first time I got a dog on my own, and the first time to have a dog in Japan. I got a Shiba Inu who was originally named Ponta, but that name quickly changed to Sox and he is the love of my life. He is very much like my own child and a lot of the time I spent on my other hobbies had to shift to him. Hopefully I can balance my life and continue to find interesting things to do. 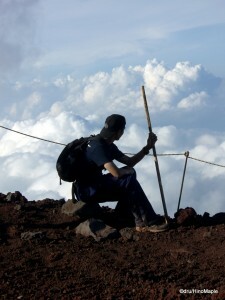 I am Yogi from Malaysia, i found ur blog when i looking for info. about Otaru Hokkaido…i like japan very much too, but it was difficult for me to travel there coz nan demo takai desu……but i plan to go to hokkaido to see snow…..as u know we don’t have snow here in malaysia. u think i still can see snow around otaru canal middle of march? ?…..well regrdless of global waming…hahaha…….apprciate ur advice……by the way u have a nice bike…i like bike too, but i only have a scooter….my dream bike Harley V-rod……till then enjoy ur stay in Japan. Thank you for visiting. I’m glad you like Japan a lot. Of course, I love it here. In the middle of March, you might have a 50% chance to see snow. It’s probably unlikely. Average temperature for Sapporo is -4C to 4C. Either way, it will still be very beautiful. Thanks for the comment on my bike. Unfortunately, I no longer have it. It’s too expensive in Japan. Remember, Japan isn’t that expensive. It’s similar to America. You just have to look for cheap places to eat and travel wisely. 🙂 Hope you get a V-rod someday. Nice blog. “While I still love motorcycles, it isn’t my main hobby anymore. My main hobby has changed to become travelling and photography.” -> That’s interesting. My hobby is photography too. Thank you Dru. You have nice photographs. Hope you like my blog, and my linked Flickr, YouTube sites too. Hi – I saw your page about selling bikes in Japan. I am desperately trying to sell mine and cannot find any sites that say they will buy. Except Bike-Oh (and we know that is a joke). Could u help with some links? Read the blog post if you haven’t. You can call the various companies and someone will come and do an assessment. You can have all of them come together. Thanks for the link – saw it at bottom of the page. It is just you mentioned “Several companies came at the same time” – I only find one link, I know Bike-Oh, so that is two, but were there others? I am struggling to find any. Appreciate any help. Do you remember who the final buyer was? Mate – this was awesome. I called them – they sent a few people, they bid (written on name card) as u described… and ai got a good price!! Very happy – you are a Star! !